The latest news for you from NCAEA! Promoting & Improving Quality Arts Education in NC! I hope you have been enjoying the beautiful spring weather! Your NCAEA Board is excited to be “Moving & Shaking” in NC! We have lots of new things in the works for you. Be on the look out for all the ways we are “Exploring UnchARTed Horizons”! Check out your Regions Spring Workshop! DUE by Friday, May 12. Nominate a colleague or yourself to be on our NCAEA Board of Directors! Offices open at this year’s conference: President-Elect, Secretary, Newsletter Editor/Photographer, & Division Chairs: Elementary, Middle, Secondary, Higher Ed., Pre-Service, Museum, Supervision/Administration, Retired. Keep watching for information on your Region’s Art Competition this Spring!! You will be ask to submit one 16x20 piece of artwork for the 2018 NC General Assembly Art Show. Region 1 & 2 will be together. Region 3 & 4 will be together at Meredith College. Region 5 & 6 will be together. Region 7 & 8 will be together. Contact your Region Coordinator for details. Go to ncaea.org and search under “contact”. We will be having a “New Teachers’ Seminar” at conference this year! It will take place on Friday, Oct. 27. Participants will be registered for the entire conference but spend Friday in special presentations just for New Teachers! Special speakers and surprises just for you! Administrators Encouragement Letter for Conference: If you would like to give your Principal, Superintendent, or any other Educational Supervisor a letter requesting support for attending this year's conference in Wilmington, just click on "Administrators Encouragement Letter". 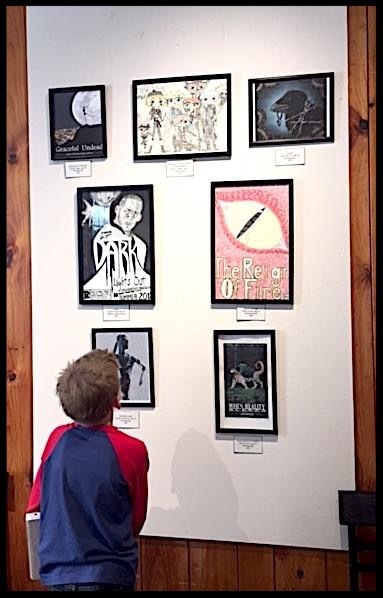 Thank you so much for all the wonderful articles and pictures sharing your “ Youth Art Month” activities! Help advocate for your Art program by being very visible in your school and community! Go to www.ncleg.net to invite your representatives and senators to your arts programs and activities! This organization belongs to you, please reach out and share your ideas, questions, or concerns. We value your thoughts and opinions. 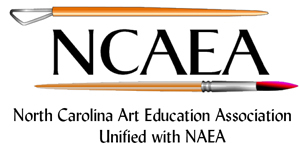 Help us make NCAEA continue to “Lead Arts Education in NC”! Leading Arts Education in NC! look in their eyes, stray off task frequently, bounce around the room and are counting down the days until summer break. Well, if I am being honest so am I! It is a long stretch from Winter break to Spring break, especially if your county used up your teacher workdays as snow makeup days, then the next stretch until summer. It is during times like these when humor and laughter is the key to sanity. Sing everything you need to say. Have students sing what they need to say. You will have a silly impromptu Opera! Dance with your students! I had 5th graders doing the Floss, I am not sure where it came from, and when I joined in they were amazed that I could do it. Now they come in asking me to floss for them. I tell them I am not a trained monkey, and that I will do it with them, not for them, after class is over. No matter what you do to enjoy your day, always keep in mind that if you are not enjoying your classes then there is a good chance that neither are the students. You know the struggles...measure a 1/4 inch boarderThe kids hear MEASURE what!!!! Here is a simple power point you can use at the beginning of the year to get them STRAIGHT. 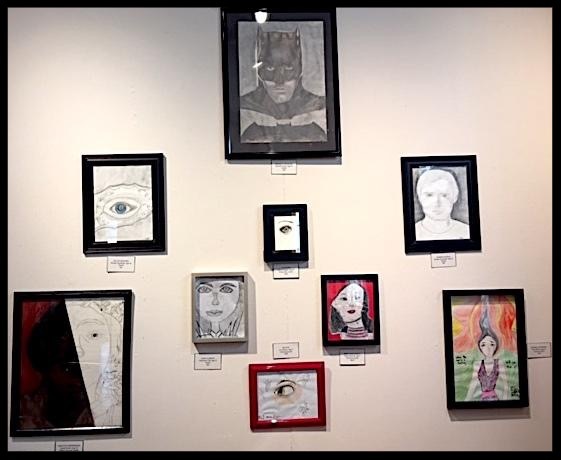 March was Youth Art Month! Middle Schools all over the state were busy being creative as always. I want to take this opportunity to highlight a great event that is organized by a local Arts Council in Richmond County. They organize and put on the Artalympics which is a middle school art competition. It is open to any teacher in the area. This year all three middle schools from Lee county (that is where I teach) and about 12 more from surrounding areas competed. It was a great opportunity for everyone involved. 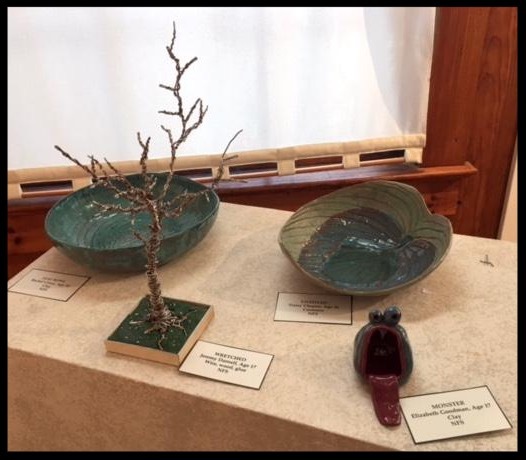 Each student created two pieces of art and had the opportunity to win trophies for 1st place and ribbons for 2nd-5th. Pictured here: West Lee Middle School taught by Samantha Sillaman, SanLee Middle School taught by Ellen Duncan, and East Lee Middle School taugh by Gina Pier. I am sad to say that my term for Middle School Division Chair is coming to an end. With my term ending at the end of this year the board is looking for a new candidate. If you are interested in running for the Middle School Division Chair at our state conference this fall, please look out for our nominations form. It will be going live SOON! I am available if you have ANY questions regarding the position. Bob Curtis, who was honored with the National Emeritus Art Educator of the Year Award at the RAEA (Retired Art Educators Interest Group of NAEA) at NAEA 2017 in New York included quite a bit of information in his presentation about himself, art education, and peers. The entire presentation was printed in the March issue of the RAEA E-Bulletin. “There have been so many opportunities: experiencing human development; working collaboratively with others; expanding my personal development; providing opportunities for growth in many areas. It is important that as art educators we recognize our role as facilitators, agents for positive change. We recognize each person is an individual with special abilities, one that does not fit in a mold, that each of us makes valuable contributions. Vidabeth Bensen demonstrated Screen Printing to middle school students at the Magnet School for Energy and Technology in Durham in January. Her original Screen Prints were exhibited at the NC Crafts Gallery in March and at the Chapel Hill Town Hall from May - July. Her studio, House of Life Prints, in Fearrington Village, was open to the public April 1st and 2nd. In July she will return to the University of Connecticut to teach a Screen Printing workshop at Confratute, an international conference for teachers of all grades and subjects. As Co-Editor of the NAEA/RAEA E-Bulletin I am always looking for information to include from North Carolina. Let me know about news or announcements you would like to see listed; gallery exhibits, milestones, deaths. Let me know about subjects you would like to see addressed. It was great to have you and your artistic students on the UNCG campus especially in the art building today. I had a wonderful time with your brilliant students who aim for art and art education careers. During Careers in Art Education workshop,I had an opportunity to introduce one of summer studio art enrichment opportunities UNCG School of Art has to offer. In fact, this summer we will host the 4th Summer Arts and Design Camp, July 9-14 and various studio programs will include Advanced Drawing, Painting, Clay, Digital Photography, Digital Graphic Design, Film-making, Introduction to Interior Architecture, and Animation and Time Based Media. Please share attached digital brochure, website, and registration information with your high school artists. Feel free to contact me with any questions regarding the art camp. The NC National Art Honor Society recently held their statewide retreat on March 31 at UNC Greensboro. 11 Schools attended including: JH Rose, North Pitt, South Central, DH Conley, Pine Lake Preparatory, Surry Central, Apex, Lee County, Chatham Central, Providence Grove and Salem Academy. 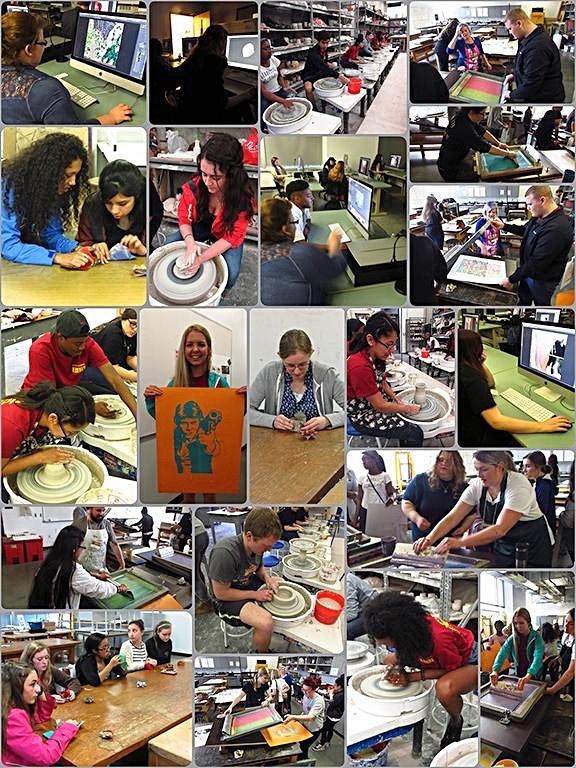 UNCG Art Professors offered a variety of workshops including: Cyanotypes, Screen Printing, Life Drawing, Careers in Art Ed., Art as Social Practice, Paper as Material and Media, Ceramics, Digital 3-D Modeling and Photo Montage using Photoshop. After spending the morning in art workshops, students enjoyed lunch at the UNCG dining hall and touring the exhibits at the Weatherspoon Art Museum on the UNCG campus. Everyone had a very educational and enriching day! 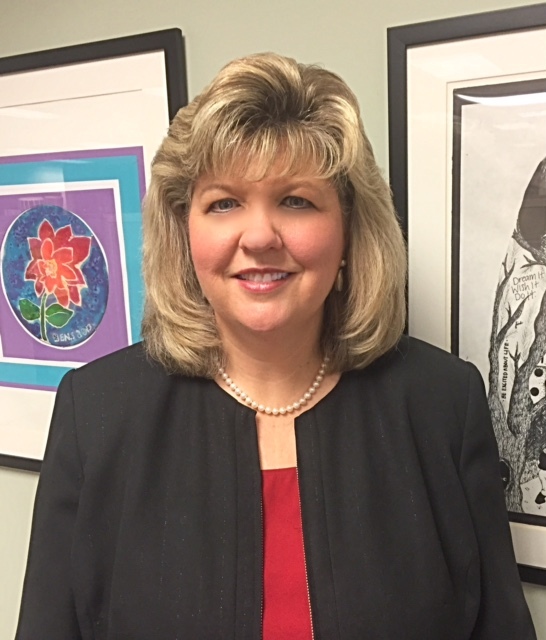 My name is Ellen Duncan and I serve as the NJAHS Chair on the board. I want to reach out to all NJAHS sponsors or those who want to become sponsors! I created a survey to collect information. Please fill it out! Click Me!! Future planning is always important! Please start thinking about this years conference which will be held in Wilmington, NC. I am planning a NJAHS show to highlight all of your students awesome work. As of now this show will not travel beyond the state conference like the high school exhibit does. More information will be shared in the future. Also, I of course know what my chapter is up to but I want to see more of what is going on around the state. It is my goal to highlight two NJAHS chapters for the next By Design newsletter from NCAEA. 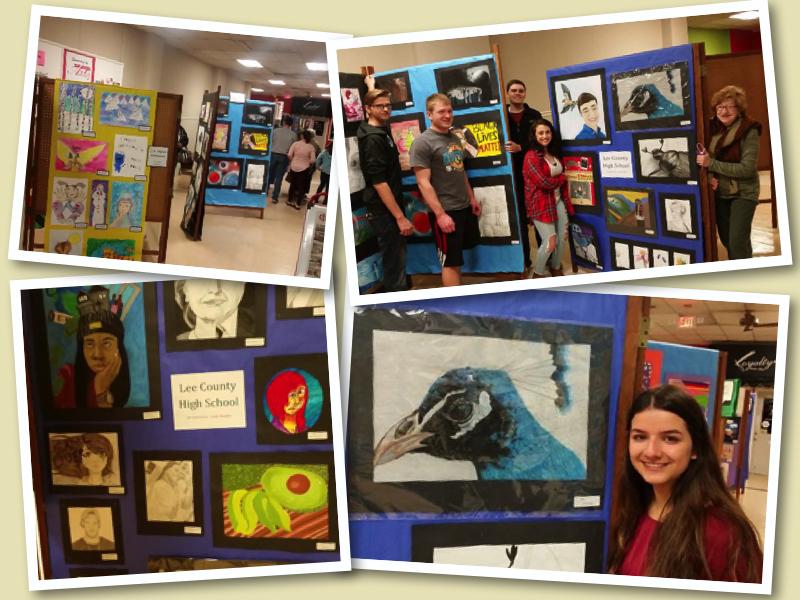 Lee County recently celebrated Youth Art Month in March with the Lee County Arts Council hosting a month long art exhibit that featured K-12 student art work from all 16 of the county schools as well as home school student artwork. Members of the Lee County High School National Art Honor Society assisted with the set up of flats for the art teachers to hang their displays on. The Arts Council also hosted an artists reception for the exhibiting students and their parents. Also participating in the YAM reception was a local comic book store that invited comic book artists to set up displays and provide demonstrations. 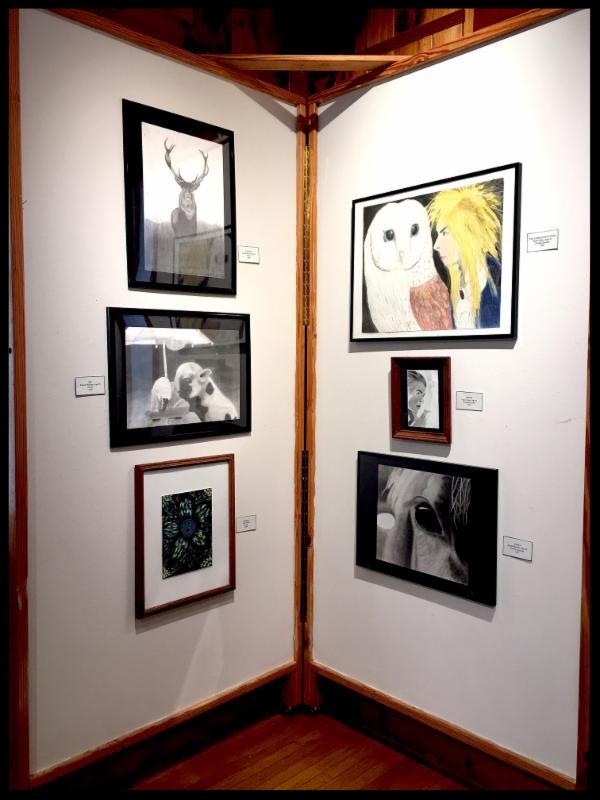 Students from age 5 to 18 in Ashe County submitted artwork to be shown in a gallery setting. This show will be on display through May, 2017. I read the pre-conference packet in excruciating detail on a 6 hour turned 9 ½ hour train ride from Durham to Arlington, VA. The frustration of delays gave way to anticipation for the upcoming events in the ensuing days. This past summer’s 2016 NAEA leadership conference “Artistry in Leadership” promoted development in state level presidents, presidents-elect and other board members. First, the pre-conference packet held the results of my DiSC analysis on my leadership style. Among the information, I learned that I will work hard to bring order to a chaotic learning environment. Second, I engaged in the connections made at such a conference, meeting Deborah Reeve and Dennis Inhulsen, as well as acquaintances on the boards from the states of Washington and Utah and making new friends from many other states. Third, I saw the scope of the NAEA and state organizations in much more detail than previously experienced. Workshops that included smooth operation and commonly forgotten legal aspects of running our state level organizations led to a better understanding the amount of work that goes into the operation of these organizations. Attached is a flyer to share about this exciting learning opportunity. If you have any questions, please email crystalbridges@edc.org. WOW! Another adventure in Professional Development with the North Carolina Art Education Association! Mark your calendar and start planning today! So EXCITED to be in Wilmington! We will be providing over 100 workshops and presentations at the NEW Wilmington Convention Center right on the river front, as well as galleries, tours, and more. Join us for “Exploring UnchARTed Horizons”! Exhibit Hours: Thurs. Oct 26 6-8pm, Fri. Oct 27 8am-5pm, Sat. Oct 28 8am-2pm.